I don’t like cows much. I do love these sweet faced ones. Jerseys I think. When I go to the state fair these pretty cows are the only ones I look at. She’s a beauty. 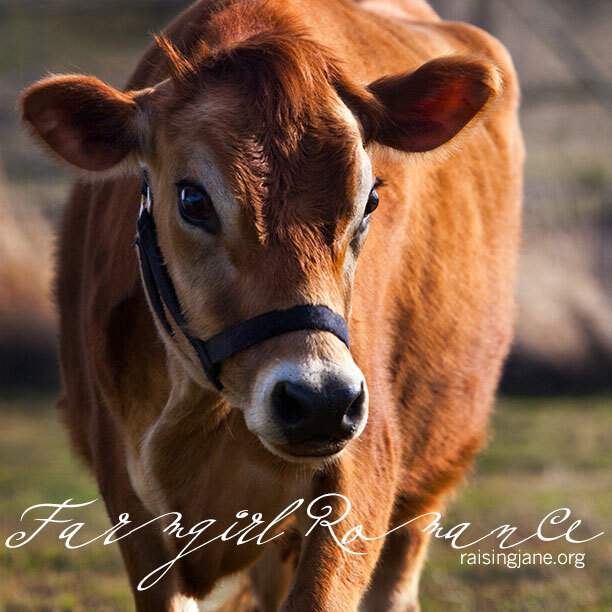 Which of your darling calfs is this beauty? This is my Magnolia all grown up and nursing not one, but two calves right now, while the momma of the second calf recuperates from complications due to childbirth. It’s rare for a first-time heifer to adopt a second calf but she grooms it and lets it nurse as if it were her own. Very sweet. yes indeed, rare and sweet! thanks for sharing Magnolia’s kindness.